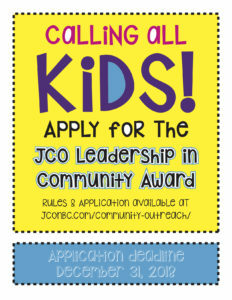 Calling all kids! 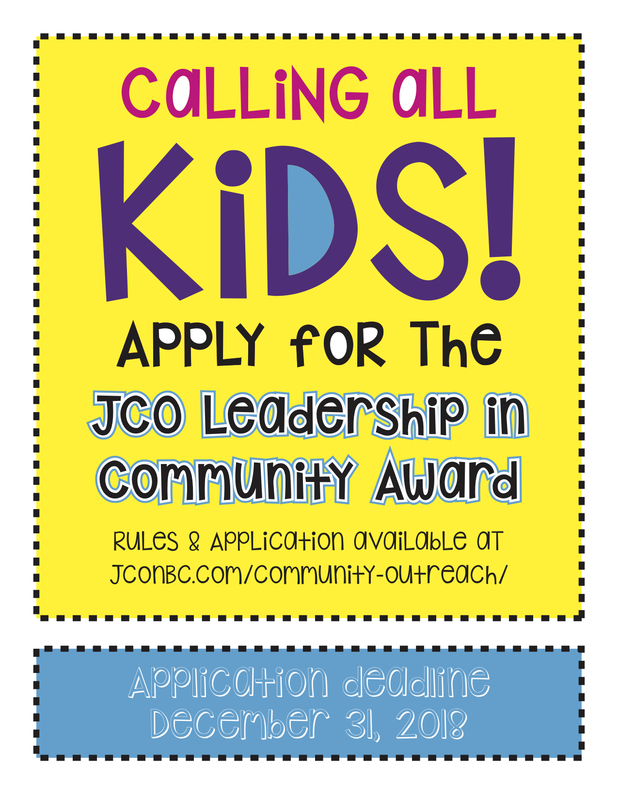 The JCO is pleased to announce our annual Leadership Community Award program. Click here for Award Guidelines. Click here for 2018 Application. Application deadline is December 31, 2018. The JCO of Northern Bergen County is heartbroken over the terrible tragedy that occurred at the Tree of Life Synagogue. In memory of the victims and in honor of their families and the Jewish community as a whole, the JCO will be planting 11 trees in Israel through the Jewish National Fund. For anyone who may be interested in doing the same, please visit www.usa.jnf.org. Other ways to help the victims, their families, the Tree of Life Synagogue, the city of Pittsburgh and Jewish communities around the country can be found here. The JCO is proud to support Body Positive Works. Visit their website for additional information. Learn how you can be a part of the JCO, or how we can help your charitable organization. Use our contact form to reach us. Copyright © 2019 JCO of Northern Bergen County · Web Design by Concept 5.